Bring your school group to the circus here at SANCA–or have the circus come to you! Trapeze, tightwire and tumbling are only the tip of the iceberg of what we offer. Our programs provide a range of non-competitive, individual and team activities in the circus arts and classes can be customized to suit the needs of your organization. All of our classes emphasize body awareness, play, collaboration, and technique-based skill building. To promote a safe and productive learning environment, SANCA maintains a student to coach ratio of no more than 8:1. Whether you are here for an hour or a whole day, field trips are a great way to experience something new and exciting. Jump on a trampoline, walk on a wire, and learn to juggle. We offer field trips for summer camps, school groups, and other organizations. Ages 4 and up. Circus is a great way to build physical literacy. It is naturally noncompetitive and includes a variety of skills and activities such as juggling, balancing on a tightwire, hanging in the air or tumbling on the ground. As students progress towards more advanced skills they build strength, coordination and flexibility. Exercising can be fun! Many schools in the Seattle area offer an experiential-learning curriculum where students learn by exploring new activities outside the classroom. SANCA is a great place to experience something new, take risks and overcome challenges. 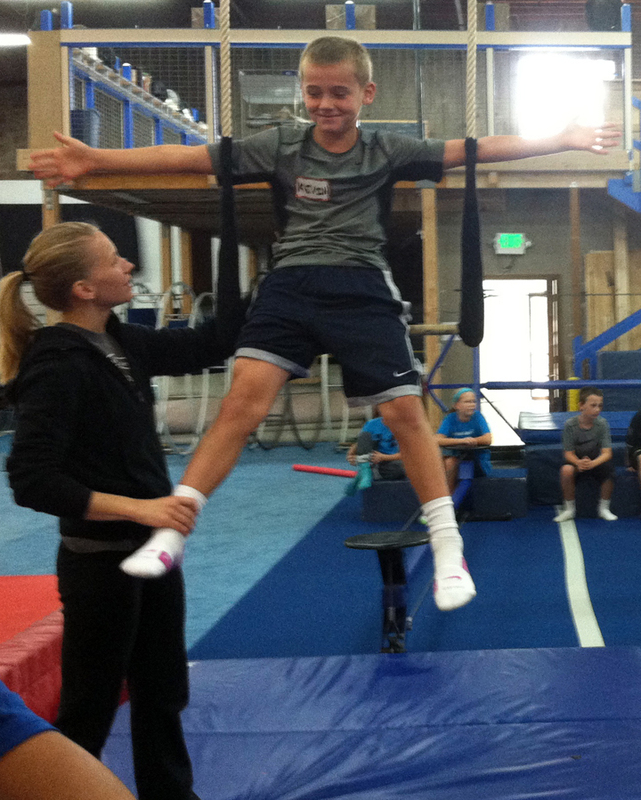 Our classes are focused on building confidence as students work hard to master a variety of circus skills. These classes can also be a great counter-point to science curricula involving physics, biology and anatomy. We offer one-time classes, week-long intensives as well as recurring weekly classes. SANCA can come to your organization and set up shop. We will usually bring juggling balls, mats for tumbling and partner acrobatics, tight wires and rolling globes. We’ll need a large open space such as a gym or multi-purpose room. SANCA must be scheduled to teach at least 1.5 hours per trip. Recommended # of participants per class: 8-16. SANCA has a unique facility in the Georgetown neighborhood. Chances are while you are here there will be other classes going on and professional circus artists trainings. 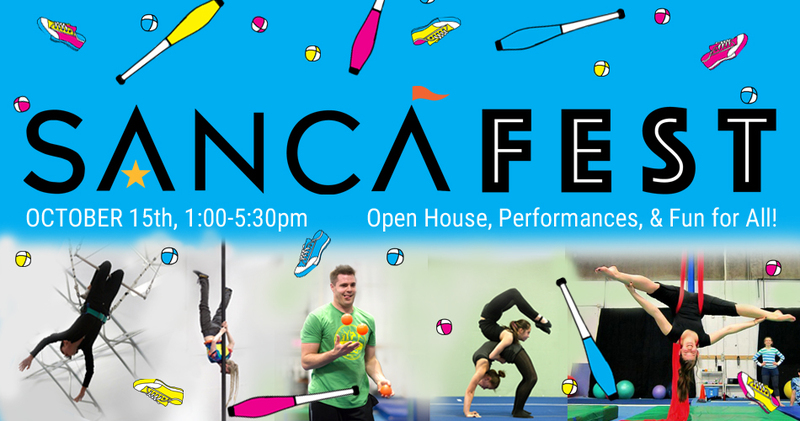 At SANCA we are able to offer trampoline and aerial arts in addition to all of the activites mentioned above groups are responsible for their own transportation to and from or school. Our flying trapeze classes are offered separately from our regular circus classes and take place in our fly tent. Students climb a ladder to the platform, grab onto the trapeze and swing out over the net. In some cases they will get a chance to go for “the catch” where they will swing out over the net to be caught by one of our instructors. 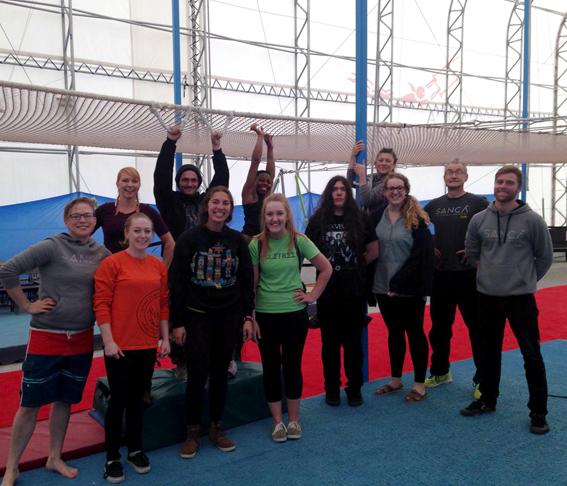 Flying trapeze encourages students to take risks in a safe environment and gives them the experience of working outside their comfort zone. Recommended # of participants per class: 5-12 (max dependent on duration).